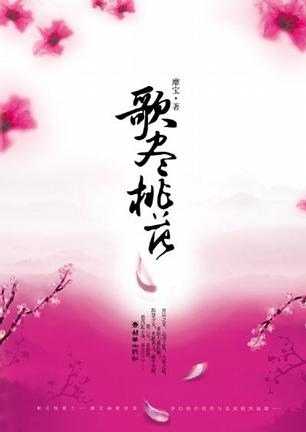 T/n: The title of the novel originated from a Chinese poem by Yan Jidao. The MC is extremely relatable. She's just a normal somewhat spoiled and lazy college student. She's awkward at times but is very aware of her limitations. She bravely confronts obstacles in her way and tries to resolve issues on her own but is sometimes hampered by being a female without power stuck in ancient times. I quite adore her relationship with the ML. He trusts her and believes in her. Again, the obstacles to their love story are not the leads, but the situation they are in. ML tries his best but he is still a man from ancient times with a destiny to fulfill. MC understands this and never blames him, but she is at heart a modem girl who can't bring herself to share a husband with other females. In the end, she leaves because she doesn't want to end up hating t the ML. He in turn realizes that he has to change the situation of he wants to be with her. MCs backstory - The first chapter does an excellent job establishing the MC's personality and drives (or lack thereof) . I actually had to exit back to novel updates to make sure I wasn't reading a modern story. It's nice to read about a transmigrator where you meet their family and know the situation behind their travels. It also cuts off a lot of angst by letting the MC know that eventually she will make it home. Non-OP MC- MC is... more>> an average University student studying chinese medicine and planning on inheriting her parents clinic. As of chapter 16 shes definitely gotten much better at medicine but thats only after extensive studying and practice. The characters- I genuinely like all of the main characters. This is the first transmigration novel I've read where I thought the characters would be fun to hang out with. I am really enjoying this novel. I was put off at first by the several bad ratings, but I am happy I started reading it at last. It is a nice slice of life novel with a bit of fun and mistery, without angst. The main character has a light hearted and hilarious personality that will make you smile a lot. She is living as a transmigrated soul waiting to go back to her world. Stunning plot, good translation and nice character growth. This novel is unique unlike any other transmigration story plus really suspenseful and unpredictable as the story unfold. MC's family is nice and MC live in a good environment. No betrayal between family as this story dwells more in the political part of country.